To recover data from corrupted, damaged, and reformatted drives; restore files erased by bugs, crashes and viruses; as well as “undelete” files from USB flash drives, memory cards, and MP3 players, you can choose Recuva. This Windows recovery tool was developed by Piriform and has an advanced deep scan mode, which scours your drives to find any traces of files you have deleted by mistake. You can copy the deleted files you want to recover onto another partition, or disk, using this free and open source data recovery software tool. 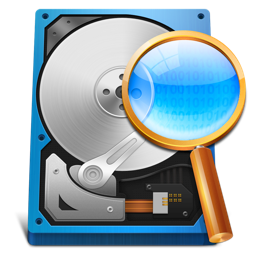 TestDisk queries the BIOS, or the operating system, to find the data storage devices and their characteristics to recover deleted partition, rebuild partition table, and rewrite the Master boot record. This portable recovery program can be used in all versions of Windows and Windows file systems to resurrect files, folders, and clusters. Its scan and recovery speeds make the job easier, and, since it’s portable, you don’t have to install it. You can use it on your PC without writing to the hard drive. This free data recovery software recovers lost files that are due to accidental deleting, formatting, software crash, hard drive damage, virus attack, partition loss or any other reason. The recovery can take place from your computer’s hard drive, external hard drives, USB drives, memory cards, digital cameras, mobile phones, music players and other storage media. EaseUS has two scanning modes: quick scan that finds deleted files; and deep scan that finds formatted, inaccessible or lost files.